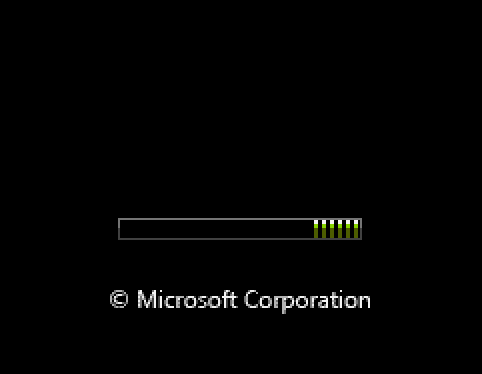 Anyone know how I can remove the "(C) Microsoft Corporation" branding from the Vista style boot screen in Windows 7? See image for reference. Did you even take the time to view the entire presentation? At about the 3 minute mark it clearly shows the modification of the branding you refer to in addition to the 'Starting Windows' text which also can be modified! you owe someone an apology, don't you. I am very familiar with the Windows 7 Boot Updater program. I am trying to edit the Vista style boot screen (in Windows 7) as shown in my original post not the Windows 7 boot screen. Nah, I was looking more for a manual way to do it similar to others that have been posted for Windows 7. Thanks for the link though. There is a tutorial here for removing the branding on the W7 screen which involves delete of bitmap directory in a sys file. Could this be done for the Vista screen? It too should be in the Windows directory somewhere, yes? I’m sure it is but it’s not the same files as the Win 7 ones. ok - well, hang in there buddy. Hopefully someone comes along with your solution, take care. Can I remove or replace Windows-7 Pro OEM Branding?